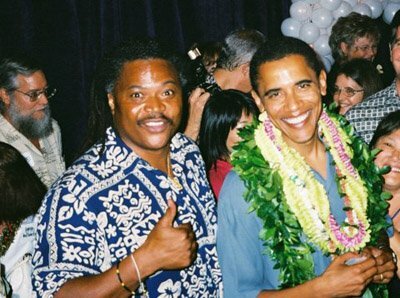 While ordinary Americans get only a few days off for Christmas, President Barack Obama has announced his Christmas vacation to Hawaii – for a staggering 17-day trip. Barack Obama, who visited Hawaii just two weeks ago for an economic summit, will head to Honolulu on Saturday December 17 until Monday January 2. The American president, who was raised in Hawaii until he was six, will be joined by his wife Michelle and their daughters, Malia, 13, and Sasha, 10. The White House travel office announced Barack Obama has no public events scheduled for the trip. Obama family covers the cost of a private beach front residence in Kailua, Oahu, for their vacation – a “Winter White House” that costs up to $3,500 a day, or $75,000 a month. But the local and federal taxpayers help pay the bill for president’s family travel and security. In 2010, Obama family’s trip cost more than $1 million, according to the Hawaii Reporter. A hotel bill of $134,400 covered 24 White House staff staying in the Moana Hotel at a rate of $400 a day. Barack Obama announced the trip during a campaign fundraiser on Oahu’s Leeward Coast during his stay on the island last month. “It is great to be home, great to feel that Aloha spirit,” Barack Obama said. Obama family’s trip to Hawaii last year was followed by an 11-day stay in Martha’s Vineyard, Massachusetts, earlier this year, which is also believed to have cost the U.S. taxpayer millions. Next week, Barack Obama will be saving a few cents by hosting a meeting with Canadian Prime Minister Stephen Harper. Barack Obama will speak with Prime Minister Stephen Harper at the White House about economic competitiveness, security and key global issues. Stephen Harper has urged Barack Obama to support an oil pipeline from western Canada to the U.S. Gulf Coast. However, Barack Obama administration said last month it was delaying a decision on the project until it can study new potential routes that would avoid environmentally sensitive areas in the Midwest. The decision is expected to be delayed until 2013.